Hey Shadowhunters, here’s just some recent (and not so recent) TMI/TID/TDA fanart! Hé Shadowhunters, hierbij wat recente (en wat minder recente) TMI/TID/TDA fanart! Today Cassandra Jean also did another livestream, during which she did a drawing of Matthew Fairchild and James Herondale from TLH. During the livestream chat Cassandra Clare announced the title of the graphic novel project about the early days of the Circle, that she has been working on: The Secret Treasons. The artwork will be done by Cassandra Jean. Hopefully there will be more news soon! 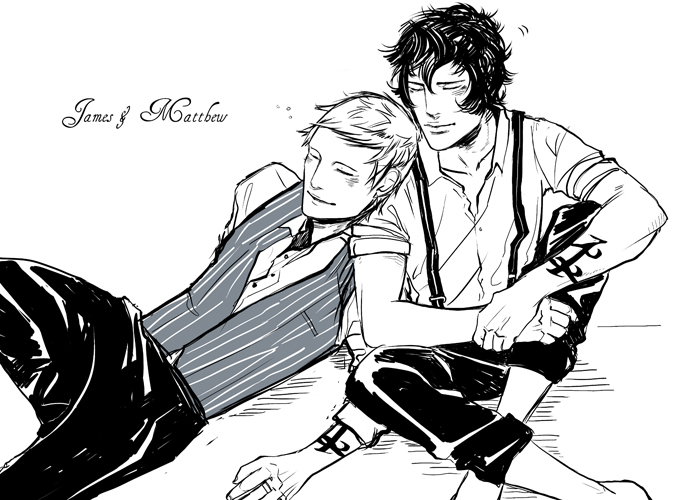 Vandaag heeft Cassandra Jean een nieuwe livestream gedaan, waarbij zij een illustratie deed van Matthew Fairchild en James Herondale van TLH. Gedurende de livestream chat deelde Cassandra Clare de titel mee van het graphic novel project over de vroege jaren van de Circle, waar ze aan werkt: The Secret Treasons. De illustraties zullen worden verzorgd door Cassandra Jean. Hopelijk is er binnenkort meer nieuws!